Los Angeles Juggler. 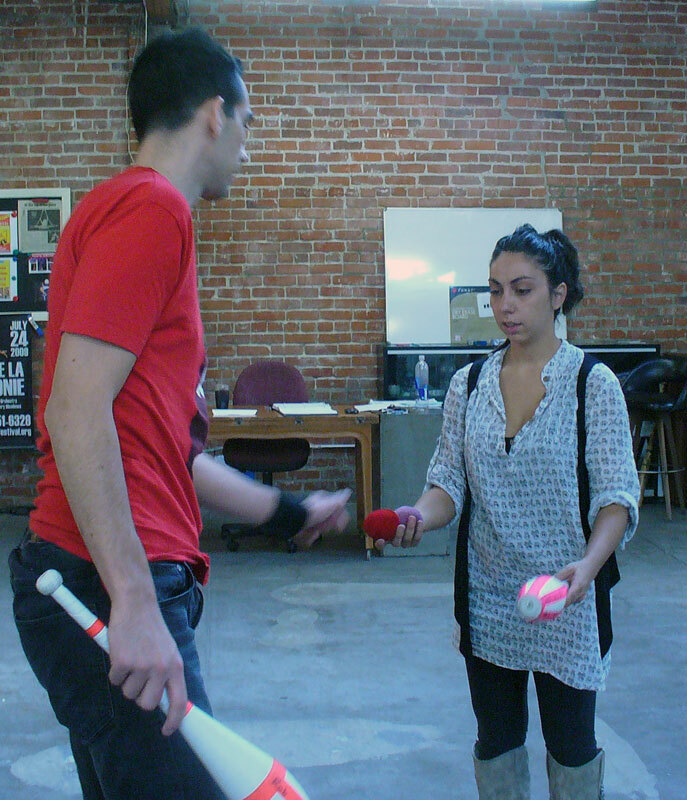 Juggling lessons and performing jugglers for all your hollywood area juggling needs. 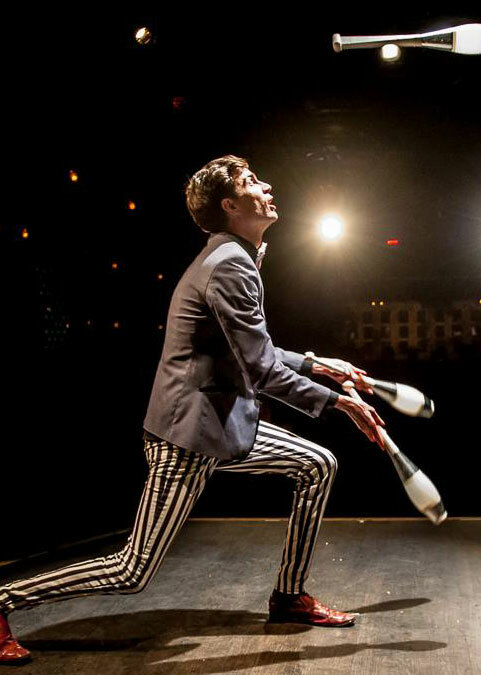 Los Angeles juggler, Scot Nery has performed all over the world on stage, television and film; and has helped other creators of entertainment along the way. His drive has always been to give audiences what they want before they ask for it. This has motivated some strange progressive stage creations and a comedy persona which is unmatched. Events that need their audience to be left in a state of laughter and amazement count on Chris Ruggiero. 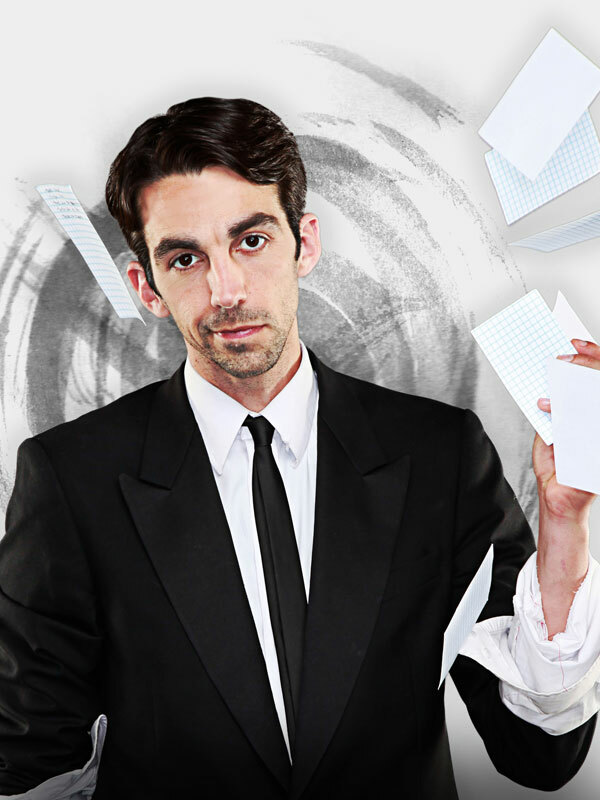 His One Man Variety Show brings juggling, comedy, magic and stunts together in a high energy, engaging experience. He's performed for the troops overseas and hundreds of colleges and corporate events across the country... as well as here at home in L.A. In his appearance on the Ellen DeGeneres Show, she called his performance EPIC! Lindsay is a Los Angeles based juggler with a unique brand of silent comedy. Her juggling is beautiful and her comic timing, priceless. Lindsay's juggling has been featured on the Tonight Show with Jay Leno and the Documentary "Being in the World". 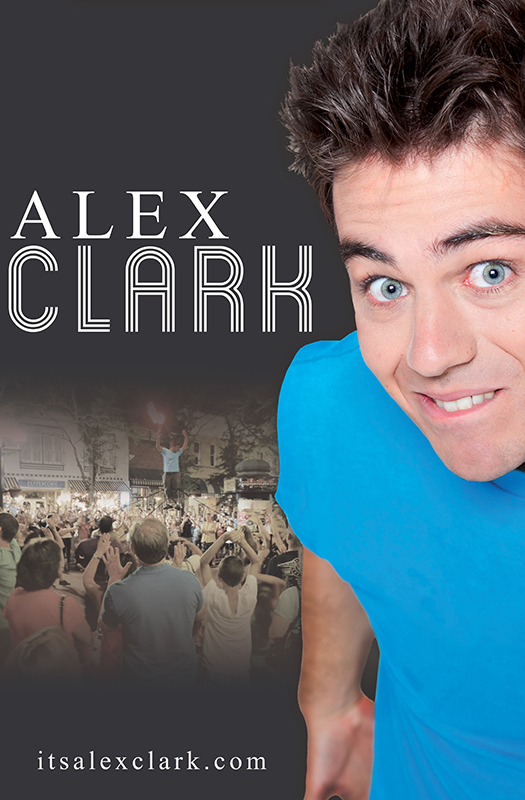 Alex Clark - From the streets to the screen. Watch anywhere. Laugh everywhere. With training from The Groundlings Theater Company, Cirque Du Soleil, & a hippie-run arts high school, Alex Clark creates a show that is entertaining on every level. Jaw-dropping juggling, quick-witted comedy, & rocking harmonica jams are all part of the show. He's been the honored recipient of 2 People's Choice Awards and was an official selection of The Los Angeles Comedy Festival. He is a return performer to the San Diego Buskers Fest, The Wisconsin State Fair, and the Canadian Fringe Circuit. You're guaranteed to love his show again and again. It doesn't stop there. Alex also has a hugely successful Youtube channel. With over 1 million views per year, Alex finds the funny in just about everything. His videos include everything from comedy sketches to busking documentaries. His most popular series, About A Girl, is now completely animated. Jack & Jeri - Clean Comedy ...plus Ridiculous Feats of Dexterity! What happens when a Hollywood stuntwoman marries a professional juggler? You get the perfect entertainment for your event! Hollywood's favorite juggling duo, Jack & Jeri present amazing and outrageous circus skills and they get the audience involved. Their fun energy is exactly what your event needs. You’ll laugh! You’ll be amazed! You’ll want to take them home! Nearly anyone can learn to juggle. It is a challenging and very rewarding skill. Below are a few options for you if you're hankering to learn to juggle. 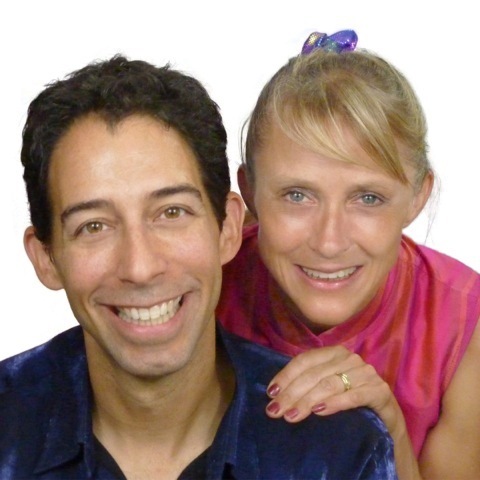 Face-to-face juggling lessons are available in Los Angeles or on Skype. Scot Nery's Juggling DVD - Catch U - walks you through the steps of juggling and helps you with specific problems along the way so you don't feel alone, just spectacular!